Integrating biology, paleontology and engineering to understand biodiversity. 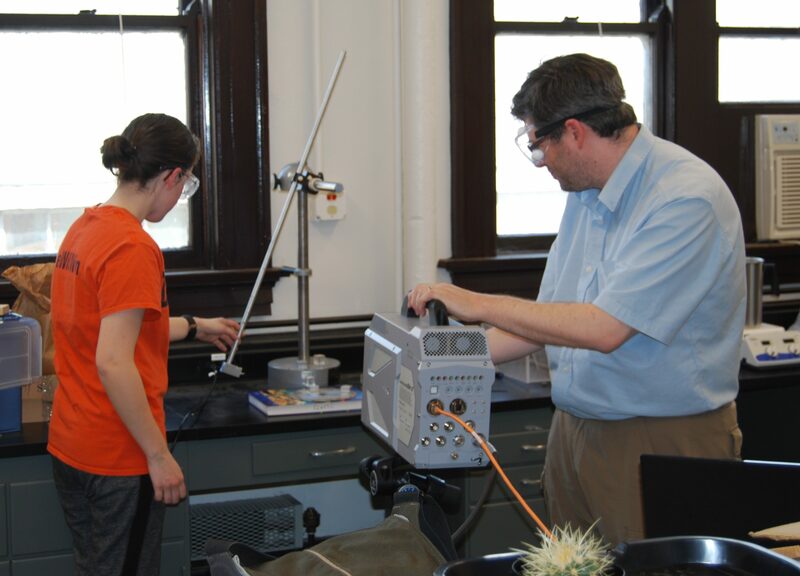 A major area of study in the lab is exploring the mechanics of cutting and puncture in nature. This involves experimental testing of different biological tools used to inflict damage (teeth, spines, claws) as well as the resistance of various biological tissues to cutting or puncture. The lab has several pieces of equipment available to perform these experiments including an Instron 5944 materials testing machine, a custom built pendulum apparatus for examining impacts up to 3 m/s and an assortment of smaller force and displacement sensors for developing custom experiments. This work is carried out in part as a collaboration with several researchers in the Department of Mechanical Engineering at Illinois. Current work in this area includes examinations of puncture tool morphology across several organisms as well as investigating the influence of speed on puncture mechanics. The lab has a Photron SA-Z High-speed video camera that is available for a variety of research projects. 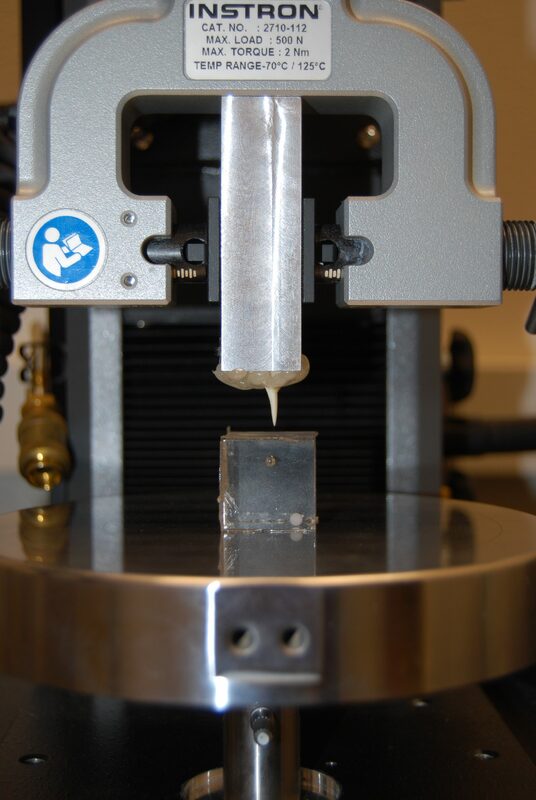 High-speed videography is combined with impact fracture experiments in order to analyze the effects of speed and impact on deformation and fracture in materials. This involves the visualization of moving stress fields (stress waves) within materials during impact and puncture experiments using photoelastic methods. The camera is also used to capture biological movements at variable speeds for kinematic analyses. This includes comparative work on raptorial appendages in a variety of invertebrates and mating behavior in fishes. Sometimes it is not viable to perform an experiment in the lab directly due to complications arising from the animals being investigated or lack of resources. 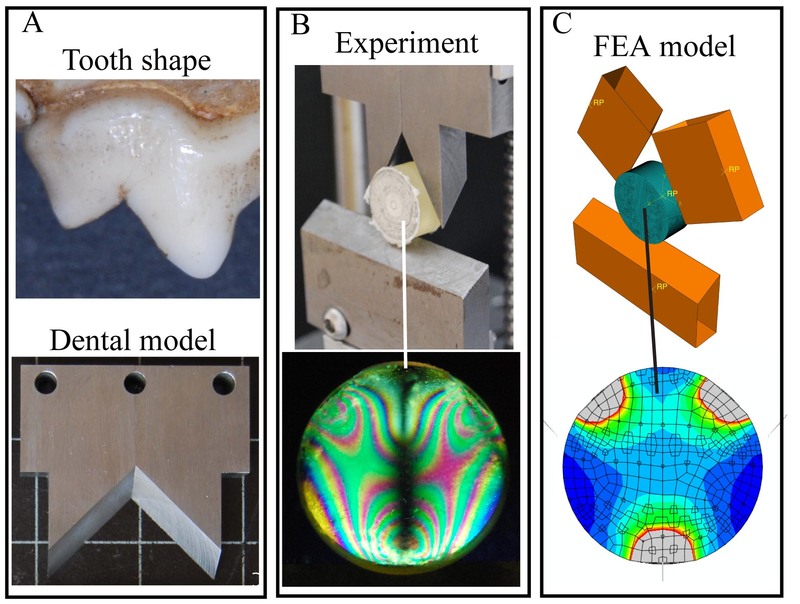 To address this issue, the lab performs theoretical biomechanical modeling using a range of computer programs. Finite element analysis (FEA) is used to test the mechanical consequences of morphology and structure. FEA simulates the response of various biological structures to different load situations (bending, shearing, etc.). This is especially useful when trying to test the mechanics of extinct organisms whose remains are too modified and/or valuable to test directly. 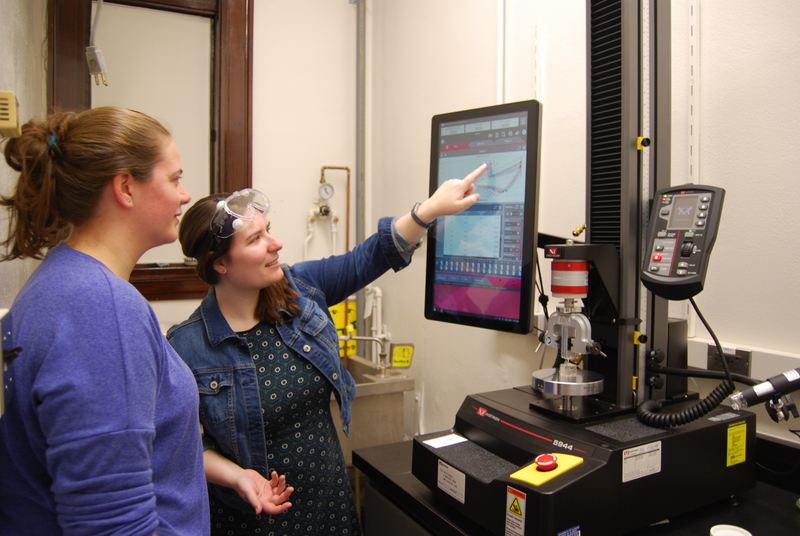 The lab also utilizes a variety of programs to model the kinematics and relative motions of multi=part machines such as the feeding system in fishes and the high-speed mandibles of trap jaw ants. These methods allow for greater exploration of the variation between taxa. The field of biomechanics allows for comparisons to be made between disparate organisms performing similar functions. Once the mechanics of a system have been analyzed using the above methods, the next step is to compare systems across clades. 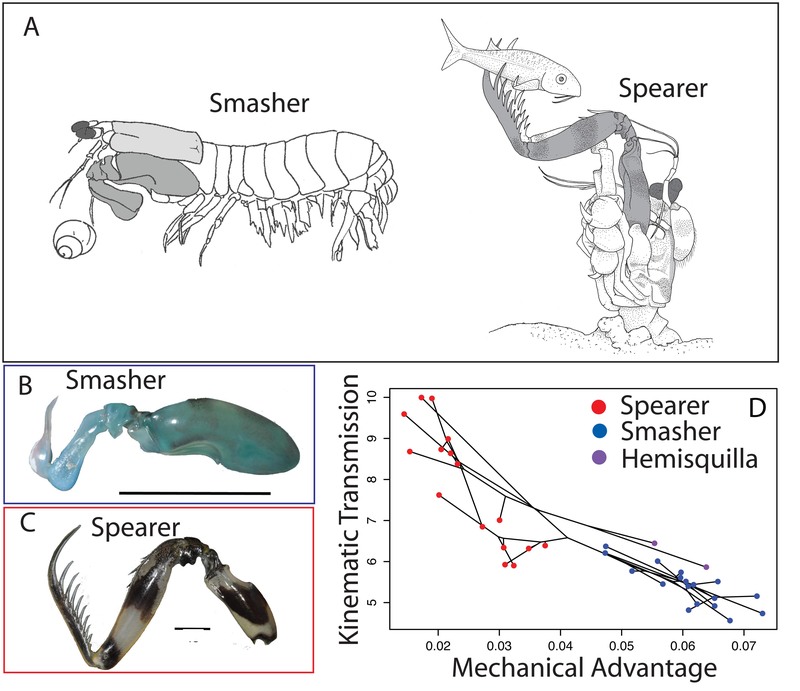 Key parameters from biomechanical systems (such as size, velocity or aspects of shape) can be used as character traits in evolutionary analyses in order to explore the influence of these traits on the patterns and processes of evolution. The lab utilizes phylogenetic comparative methods to answer questions such as if the integration of a biomechanical system influences the rate of evolution and whether the laws of physics act as constraints on evolutionary diversification. Work in this area includes analyses of both modern and fossil vertebrates and invertebrates. 03/05/2019: New paper from lab member Brad Scott and colleagues at the University of Alaska, Anchorage and Brown University.The paper covers the kinematics of the hyoid mechanism in a suction feeding shark. Great Job! 11/16/2018: New review paper by Dr. Anderson is online at JEB. The paper covers both the diversity and common underlying mechanics of biological puncture systems. 11/14/2018: Hannah Darcy has passed her preliminary exams and has moved on to full candidacy. Now the real journey begins. 10/2018: New paper from the lab written by undergraduate Alexandra Baumgart on mechanical sensitivity in fish cranial mechanics. Great job Alexandra! Anderson, P. S. L., 2018. Making a point: shared mechanics underlying the diversity of biological puncture. Journal of Experimental Biology 221: jeb187294. Baumgart, A. and Anderson, P., 2018. Finding the weakest link: mechanical sensitivity in a fish cranial linkage system. Royal Society Open Science 5: 181003. Hu, Y., Nelson-Maney*, N. and Anderson, P. S. L., 2017. Common evolutionary trends underlie the four-bar linkage systems of sunfish and mantis shrimp. Evolution 71(5): 1397-1405. MacLaren*, J. A., Anderson, P. S. L., Barrett, P. M. and Rayfield, E. J., 2017. Herbivorous dinosaur jaw disparity and its relationship to extrinsic evolutionary drivers. Paleobiology 43(1): 15-33. Muñoz, M. M., Anderson, P. S. L. and Patek, S. N., 2017. Mechanical sensitivity and the dynamics of evolutionary rate shifts in biomechanical systems. Proceedings of the Royal Society, B 284:20162325.